Police in Soweto, Johannesburg, have arrested a 29-year-old woman who was believed to have been kidnapped after she was found “relaxing” at her boyfriend’s house. Ms Lerato Mosia was reported missing on June 9th. The mother of one was arrested on Friday last week for feigning an abduction. According to Sowetan Live, police boss Hector Netshihodza said she if facing charges of defeating the ends of justice. Today, News24 reports that her boyfriend who was also arrested together with her has been released on bail pending investigation. However, Ms Mosia has been denied bail after she appeared in court earlier today. It was reported that Ms Mosia went missing two weeks ago after leaving her home. It is alleged that police found her “relaxing” at her boyfriend’s house in Springs on the East Rand on June 22. “At about midnight on Friday, the police found the lady who faked her kidnapping, safe with no injuries, at the boyfriend’s house along Majola Street in Springs,” Netshivhodza said. 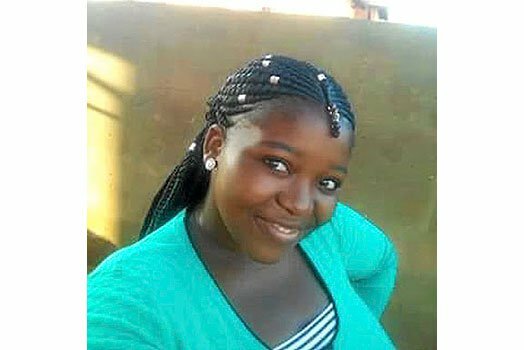 The alleged abductors sent half naked pictures of Mosia to her family, tied and gagged threatening to kill her if the family failed to obey their instructions and if they sought police assistance. Meanwhile, the police said they haven’t found solid evidence to link the boyfriend into the kidnapping hence his release on bail. “We could not link him to the case of kidnapping, because at this point we don’t know which phone was used to communicate with the family. But once our investigations are concluded we can make that conclusion,” Netshivhodza said. He said they were still trying to get to the bottom of what transpired. “As the police, we are warning the public not report false cases because they will be arrested for wasting state resources and time,” Netshivhodza added.